STEP 4 :- Download new iOS 8 update. STEP 3 :- Click on “Download and Install” button. 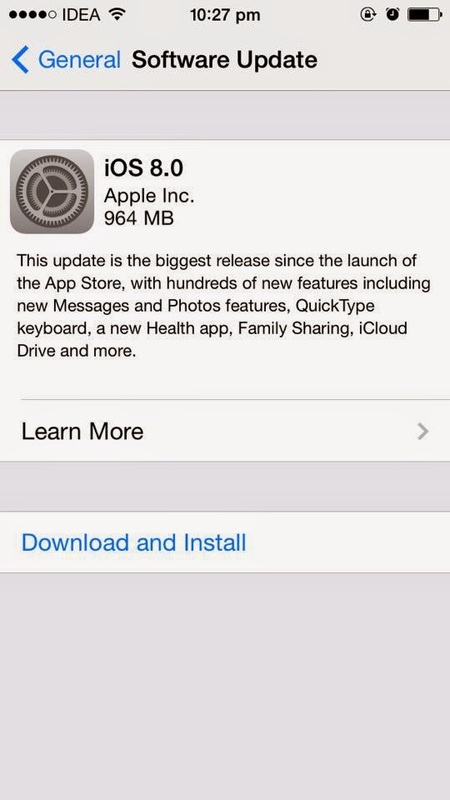 STEP 4 :- Now it will download and install iOS 8 on your iPhone.